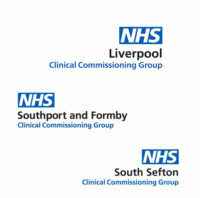 Liverpool, Sefton and Southport and Formby Clinical Commissioning Groups (CCGs) have signed a contract to utilise the Medical Interoperability Gateway (MIG) to share real time patient data. The contract includes the Detailed Care Record (DCR) service, which provides clinicians with ten categories of information from a patient GP record and the EPaCCs (Electronic Palliative Care Co-ordination Summary) Dataset which supports the coordination of a patient’s end of life care plan. The CCGs will use the MIG to provide real time feeds of patient data from GP clinical systems into the e-Xchange solution which will be used across Cheshire and Merseyside Health and Care Partnership (HCP). The contract also includes a feed of GP data into Liquidlogic to support adult social care services at Liverpool City Council and Sefton Council. “Building on our recent contract wins across the North of England, Healthcare Gateway are delighted to be involved in this fantastic programme of work. Using the MIG, Merseyside will be able to access health and social care data in real time today. This demonstrates the value of the MIG for clinicians to support patient care in the region. We are looking forward to the partnership, and to begin identifying the benefits.” Liam King, Director of Customer and Commercial Experience, Healthcare Gateway. Implementation of the service has already started and data feeds will be live in six to eight weeks. For more information and book a product demonstration please call 0845 601 2642. You can also request a quote by completing our online form.